How Much Does An Average Website Cost? Website Design – creating the overall layout, design/look and feel of a website. Developing the flow of how a page will look or where the content of the site will be placed. These services are usually intertwined when a company or person is explaining that they need web work done. With that out of the way let’s go into the reasons why web companies/freelancers charge what they charge and how they come up with their price. There are many aspects to consider when pricing out a project, but the main one is time. A freelancer/web firm will listen to you (the prospective client) explain the website of your dreams and from there they will base the price around what was discussed. Some things that will increase the price are, the time frame in which the project is to be completed, support, consultation, or detouring from the original scope of work. Other factors that go into creating a price quote for web services are the amount of resources, experience, and knowledge of the professional(s). The more value that can be offered the higher the price quote will be. 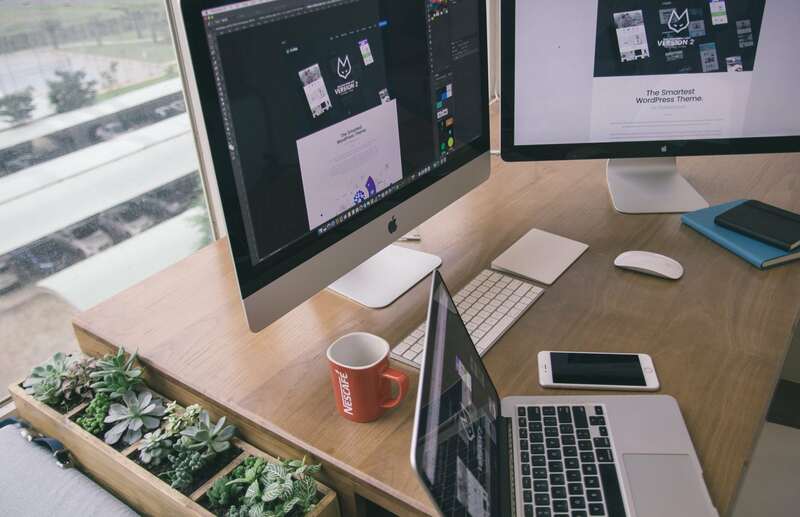 For instance freelancers are often only equipped to perform one or two services while a team of web professionals are prepared to deliver in all areas. Solutions such as templates, website builders, or other out of the box services can be priced fairly cheap due to the lack of customization. Also, note that some of these services have recurring monthly or yearly fees. There are a couple of common ways to bill; one is to require half up front and half on delivery of the project. Let’s say that the grand total of your project is $2000.00 before any work could be initiated you would be required to put down 50%. The other 50% is due after the agreed upon scope of work is completed. Other variations can be a 50% upfront, 25% on first set of deliverables, and the final 25% on project completion. Another way is to be billed hourly. Being billed hourly seems to be the less popular way when getting a website developed. Most of the time billing hourly comes into play when providing advice or after a project runs longer than expected. Monthly fees usually occur with web hosting packages or if you agree to some type of maintenance plan. What does the standard website package come with? This will be based on what you have explained to the professional and what they can offer you. If you express that you need a website redesign you will get website design. If you say that you need to rank higher on Google or Yahoo then web marketing will be the primary focus. As stated before each scenario and each company or freelancer is limited to the skills that they have acquired. Generally speaking if you have no website at bare minimum you should be offered a domain and hosting package (to keep your files and make them visible by visitors). Although, the company that you choose to take care of your web project may not have in house servers they usually know or work closely with a web host. Should I budget for my web project? The answer is yes, however if you have never had a site developed before it may be wise to ask others website owners how much they spent on their website. Ask others how the process went and what items/materials you need before you go calling every web company in town. Keep in mind that websites should be built with room to scale with the growth of your company, unless specified otherwise. Today your need may only be to have an online location to display information about your products or services and tomorrow you may need to provide a way for your customers to order online. A well thought out website will be able to handle this transition. Determine what you need your site to do for you – do you need to inform others on the services or types of products that you sell? Do you need to sell items online? Do you need to create an online community revolved around a theme or set of topics? Write out how a website will help leverage your business, or if you are doing business solely on the web explain in greater detail the process on how you will make money or see a return. A brief explanation is always nice to hand over to a web specialist so that they can have a little guidance and understanding on what is valuable to you, also it will let them make suggestions based on what has worked for previous clients. Show me the numbers… what can I expect to pay? If you are like me you want to have a general idea on how much something cost so you do not have to waste time on calling around only find out that you are not prepared. So, I have put together some generic numbers to help illustrate how much you should expect to spend. Keep in mind that these prices are not in relation to any one company they are just the ranges of what I have seen or heard. Also, remember that each firm/freelancer charges differently, you may have to pay all up front, half, 25% or make some type of deposit to get work started. This is a great place to start out at if you have never had a website created before. Typically the services included are a custom web design and HTML/CSS coding to bring the design to life. If anything such as a contact form, animation(s), or anything extra outside of the design and development scope you will be charged extra. Remember these are the lowest prices I have seen or heard of, I am not claiming that you will receive superior craftsmanship at these prices but it will certainly get you a website. Expert Advice: Always strive to have work done by the most professional and service friendly. The higher price does not always reflect skill or more importantly people skills. A lot of my clients are ones who have made a switch from a company that never answers the phone or doesn’t do what they are supposed to do. Dig deeper than the portfolio, do not ignore it just dig a little deeper and see how he/she handles business. eCommerce websites can and should be used in addition to your physical store front. The only difference is that the physical more than likely closes at night and the online location stays open day and night – year round. When looking to get an eCommerce website built you should consider the ease of use (adding/deleting/editing items in the inventory), stability, and how well does it integrate with your current site (assuming you have one). Expert Advice: If you do not have a $4000.00 plus budget I would suggest going with a freelancer or student. Start out small and upgrade! It makes no sense to pour tons of money into something that you have no idea on where it will lead you. If you are a start up company focus on bringing in revenue first and come back and get the bells and whistles. However, make sure that you will end up with a professional and presentable site; no one will buy if the site doesn’t look legit. Remember, money doesn’t automatically go into your bank account if you spend $4000.00 bucks on a website. Evaluate where your business is now and think about where you would like your website to help take it in the near future. Interactive websites are websites that keep your attention and have you coming back hourly, daily, weekly, monthly, etc… These sites are ones that display your favorite celebrity gossip, catch up on sports scores, or watch funny videos online. These sites are database driven and heavy on the dynamic content. Because, these sites are reliant on a database and require heavy back end programming the price sky rockets. Also, these sites are often found by search engines and have a way of self marketing themselves based off of their content. Expert Advice: If you have never had a website built before I would suggest looking for free or low priced alternatives. There are plenty out of the box solutions that will get the ball rolling, you can always upgrade later. Also, if you are just starting out on the web creating or finding fresh content may be overwhelming at first. Sites like these tend to snowball and turn into a frequently visited site, unless you have tons of marketing dollars to back it up. No matter which way you plan to go always think ahead and be prepare yourself for the amount of time and money you may have to put in for your business to take that next step, or to serve your customers better and faster. As I stated earlier in this article evaluate where your business is now and think about where you would like your website to help take it in the near future. Define your goals up front and be sure not to over or under do it and if you are not sure, always get a second opinion.